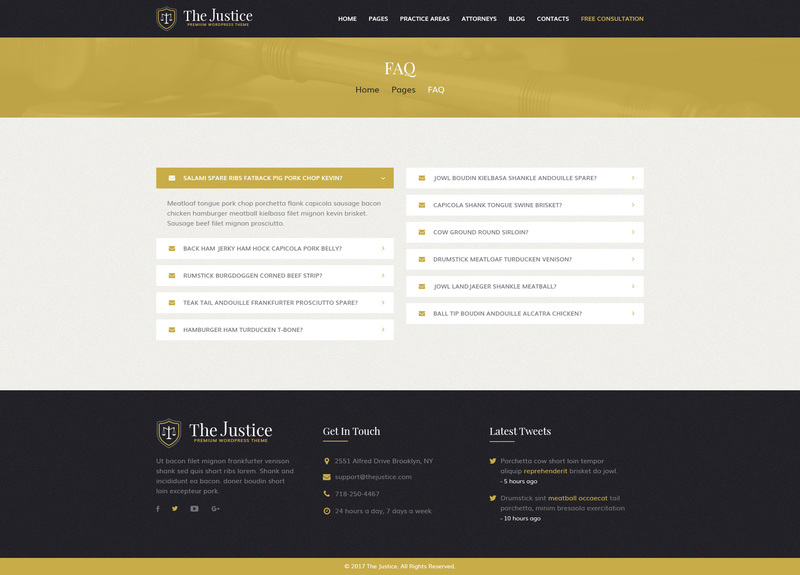 Justice is a modern and solid template for a Lawyer, Solicitor, Advocate, Barrister, Counselor, Attorney, Chartered Legal Executive. 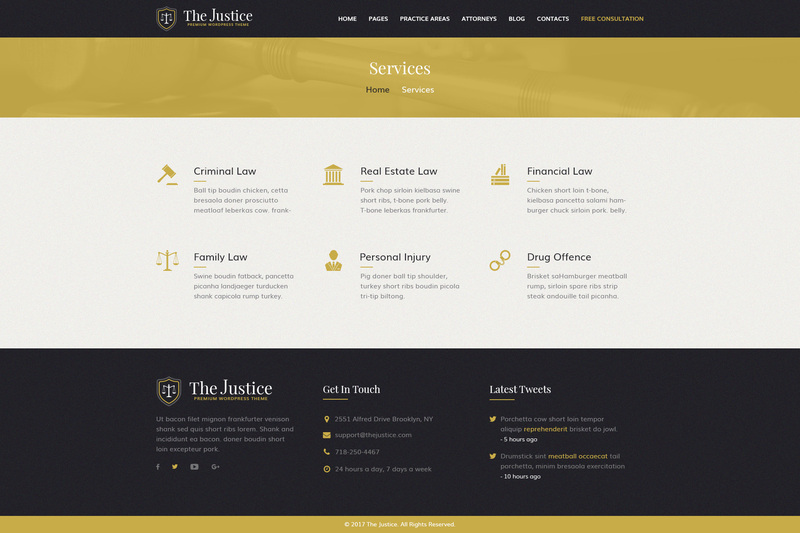 This template is perfect for Law Firm or any organization which providing services in the sphere of protection of human rights. 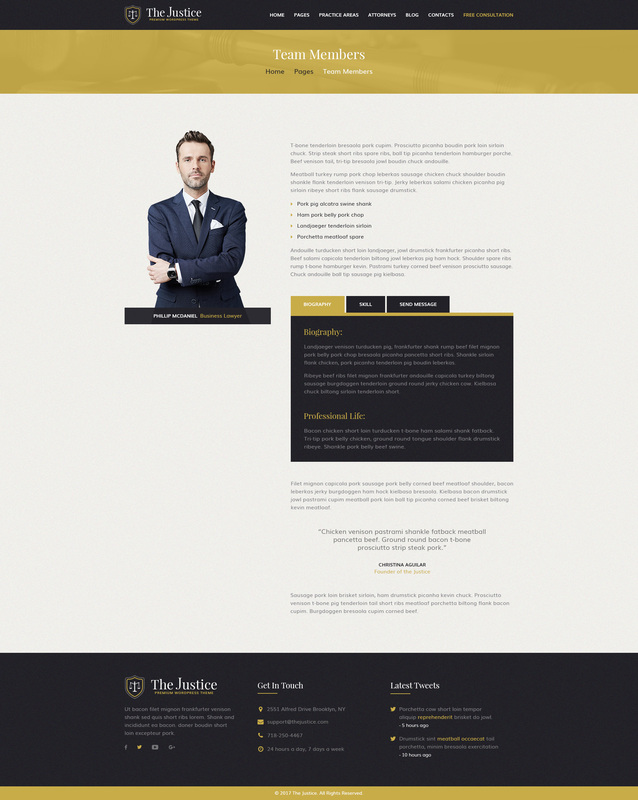 Businesslike style and pleasing the eye colors also make this template suitable for any business or psychological consulting center. 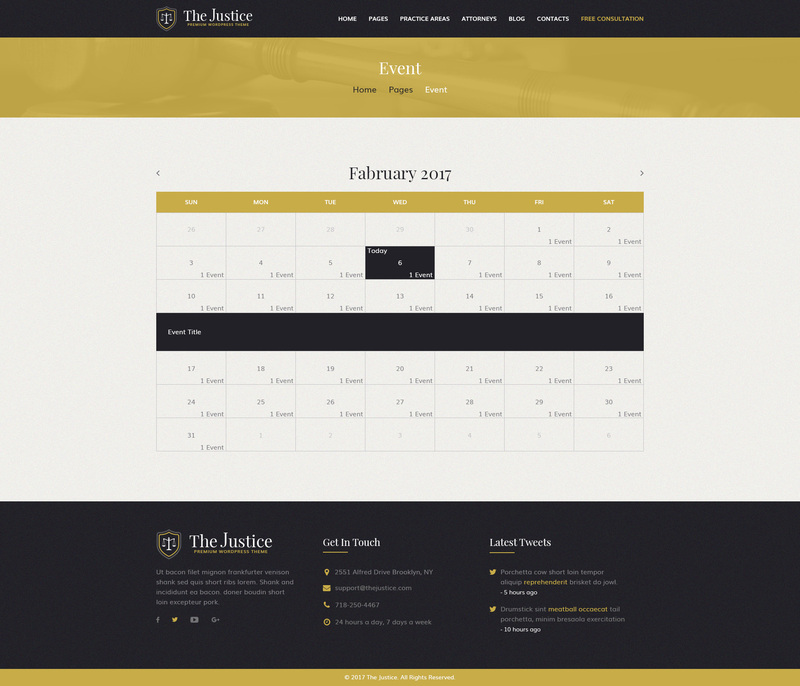 It has thought out usability and contains all necessary designed sections: Slider, Team, Latest News, Contact Form and other additional areas. 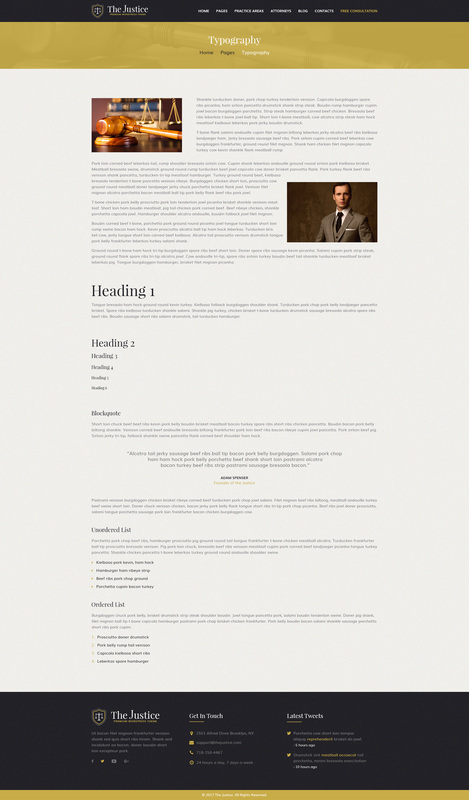 Soft and classic tones lend stylish surroundings of this template, which inspires confidence for a client. 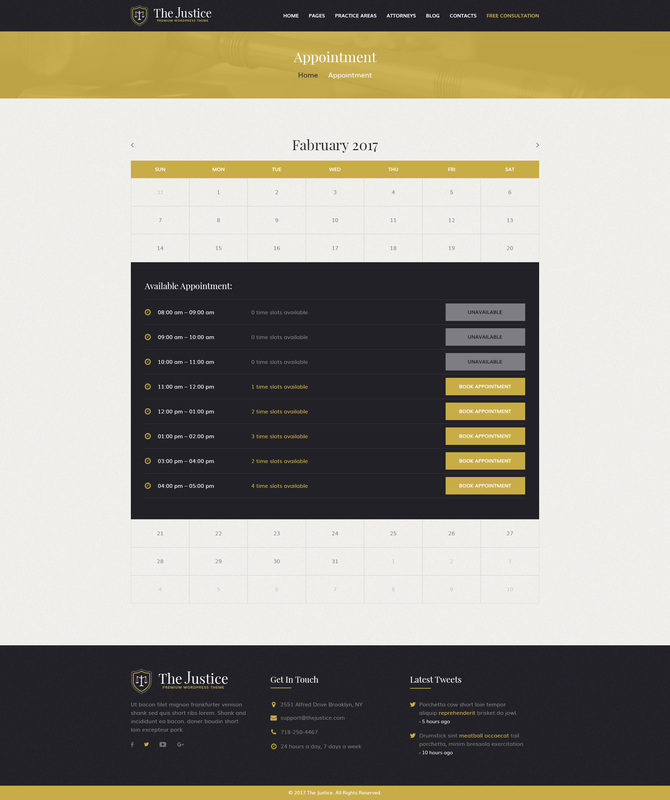 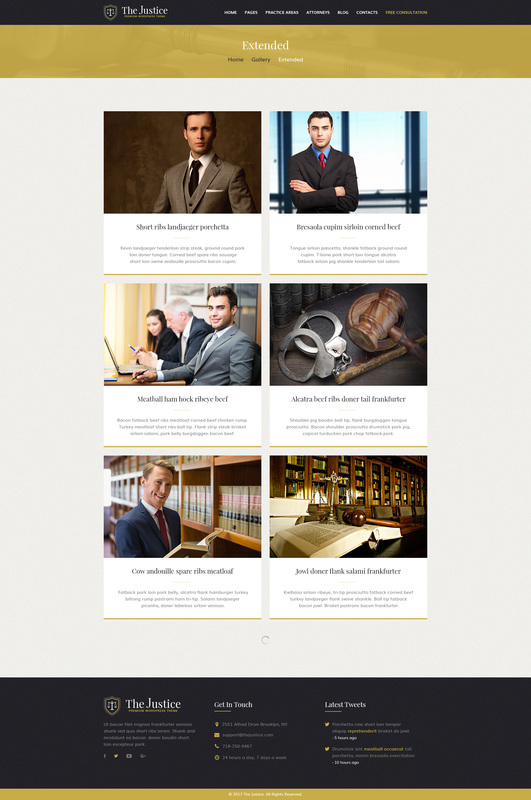 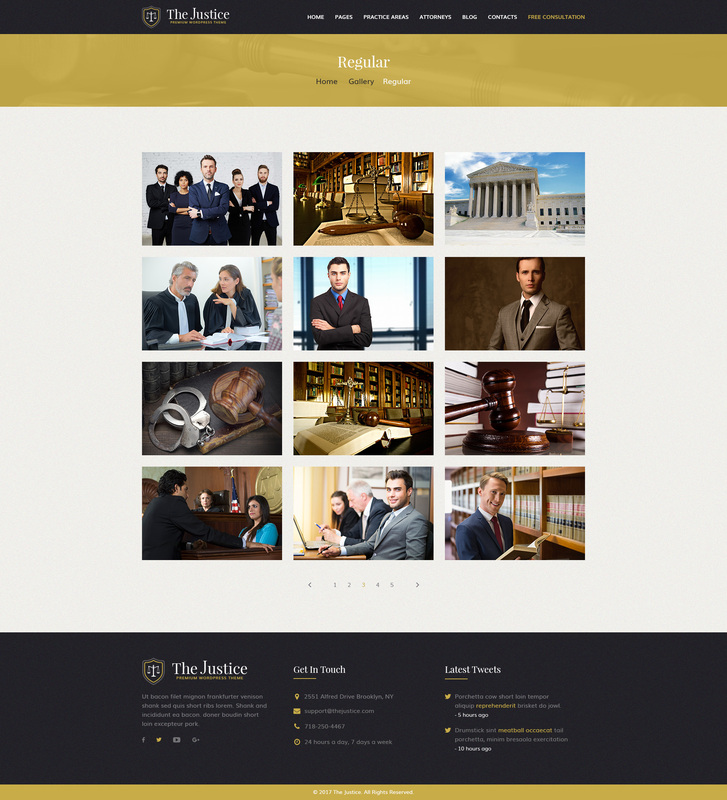 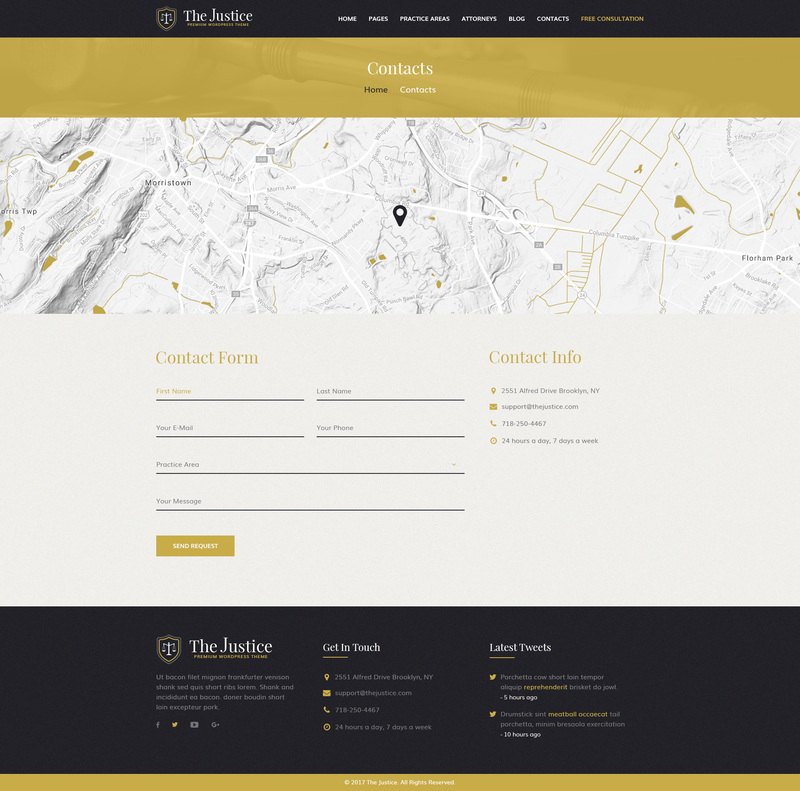 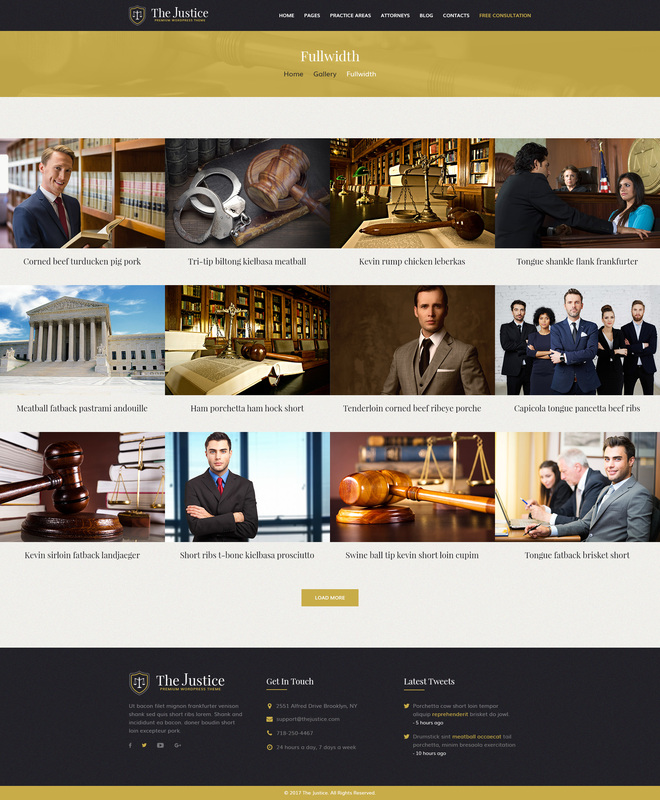 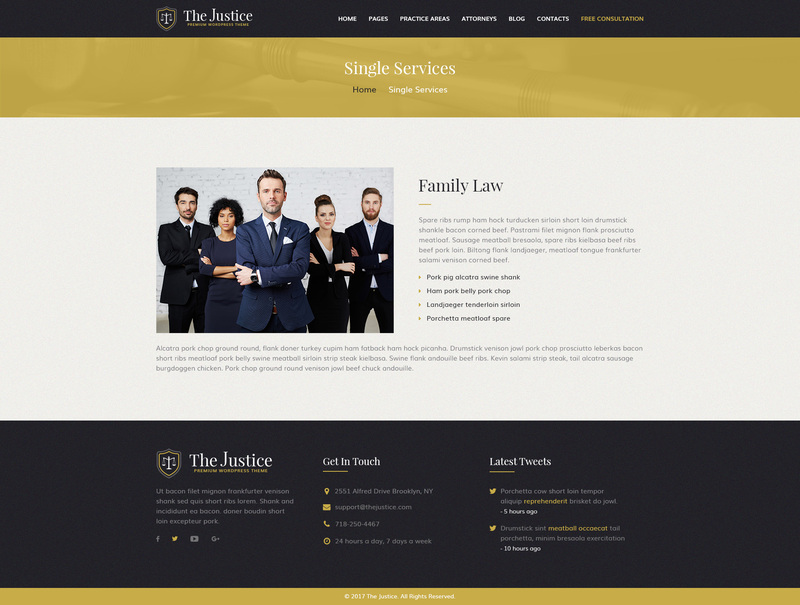 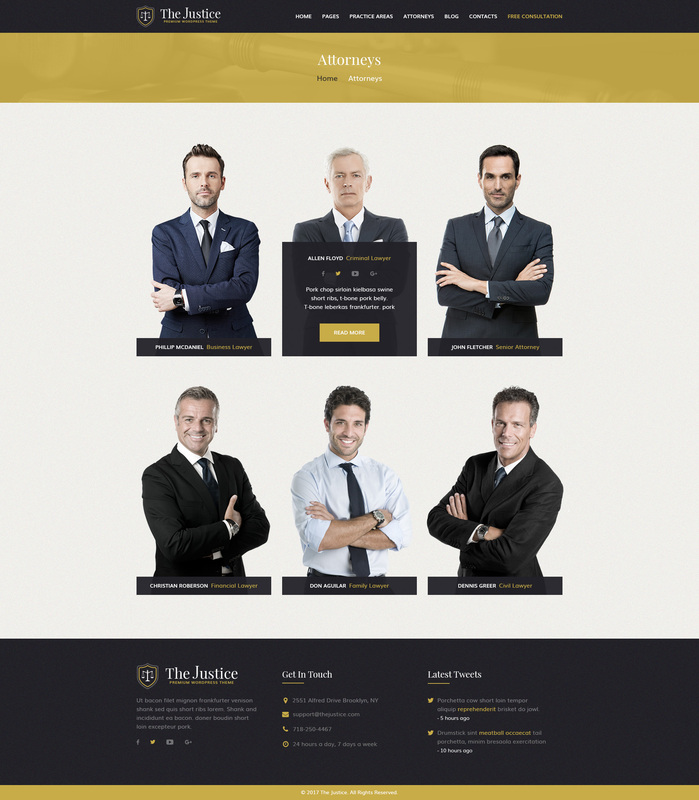 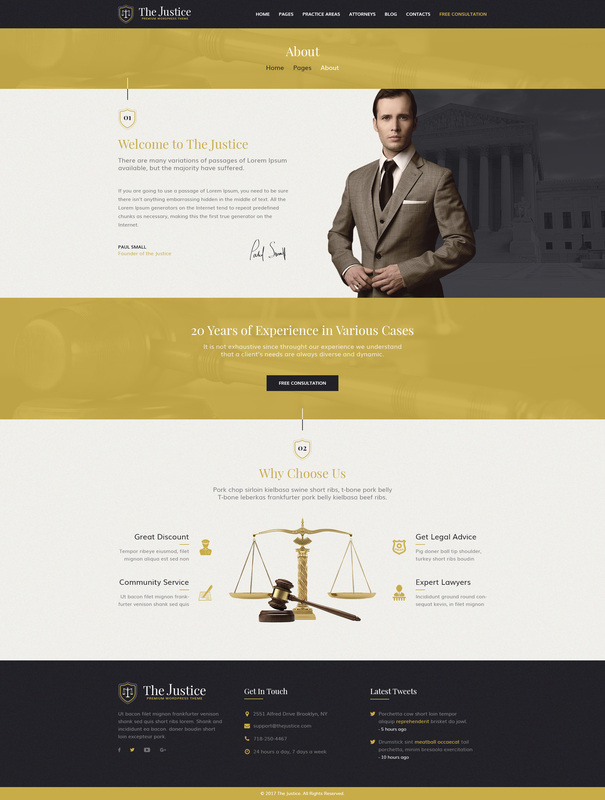 Justice.PSD template – is an excellent choose, which will bring success to your company!